RUSAÂ has selected the winners of the 2014 achievement awards, which provide research and travel grants in recognition ofÂ the nationâ€™s most exceptional librarians, libraries and projects involving reference services today. The RUSA Achievement Awards Ceremony and Reception will be held from 5-6:30 p.m. Sunday, June 29 at the ALA Annual Conference in Las Vegas. All conference attendees are invited to the event. Additional event details will be available on the RUSA website in April. The following recipients were honored. William Miller, dean of libraries at Florida Atlantic University, is the winner of theÂ Isadore Gilbert Mudge Award, RUSAâ€™s highest honor. Miller was selected for his extensive career as an editor, author, scholar and practitioner in the field of reference services. His contributions have left, and continue to leave, a lasting impression on reference librarianship. The award consists of a citation and $5,000 supported byÂ Gale Cengage Learning. Diana Tixier Herald, program and outreach manager at Delta County Libraries in Colorado, has been selected as the winner ofÂ Novelistâ€™s Margaret E. Monroe Award, which recognizes a librarian who has made significant contributions to adult library services. Herald, a voracious and varied reader, has excelled in her readersâ€™ advisory efforts; her unwavering support for readers and literacy has left a national legacy. The Northville District Library (Mich.) will receive theÂ Gale Cengage Learning Award for Excellence in Reference and Adult Library ServicesÂ for itsÂ Northville Historic RecordsÂ portal. The historic records are an organized primary source that unites various community sectors to capture the cityâ€™s rich history. This award is sponsored byÂ Gale Cengage LearningÂ and presents $3,000 and a citation to a library or library system for developing a unique resource to meet patronsâ€™ reference needs. The article â€œSignificantly Different? : Reference Services Competencies in Public and Academic Libraries,â€Â RUSQÂ Â (52:3), authored by Laura Saunders and Mary Wilkins Jordan of Simmons College, was selected for theÂ Reference Service Press Award,Â which honors the most outstanding article published inÂ Reference and User Services Quarterly (RUSQ),Â RUSAâ€™s research journal. The award includes $2,500 and a citation supported byÂ Reference Service Press. The Local History and Genealogy Department of Toledo-Lucas County Public Library (Ohio) has been selected as the winner of theÂ John Sessions Memorial Award, for its extensive efforts in building an ongoing legacy recognizing the labor community. The award, sponsored by theÂ Department for Professional Employees, AFL-CIO, presents $1,000 and a plaque to a library or library system that has shed light on the labor movement in the United States. David Larsen, head of access services and assessment at the University of Chicago Library, will receive this yearâ€™sÂ Virginia Boucher-OCLC Distinguished ILL Librarian Award. The award honors professional achievement, leadership and contributions to interlibrary loan and document delivery. Larsen was selected for his innovative and practical approaches to resource sharing, willingness to learn and test new products and improved workflow efficiencies. Sponsored byÂ OCLC, the award consists of $2,000 and a citation. Award winning author and Associate Librarian Celia Ross, of the University of Michiganâ€™s Ross School of Business was chosen as this yearâ€™s winner of theÂ Gale Cengage Learning Award for Excellence in Business Librarianship. Ross was selected for her dedication and commitment to the field of business librarianship and its practitioners. Her many contributions to the education of new and veteran business librarians have made her a go-to source in the field. This award is generously sponsored byÂ Gale Cengage LearningÂ and consists of $3,000 and a citation. William â€œBillâ€ Forsyth, director of product management at Proquest, is this yearâ€™s winner of theÂ Genealogical Publishing Company Award. Forsyth has been an active and prominent member of RUSAâ€™s History section as well as the keynote speaker for many genealogical events. His outstanding contributions to the field sustain the importance of genealogy in historical research. Supported byÂ Genealogical Publishing Company, this award presents $1,500 and a citation to a librarian or library in recognition for their achievements in genealogical reference, service or research. Anne Houston, director of humanities and social sciences services at the University of Virginia Libraries has been named as the winner of this yearâ€™sÂ MARS My Favorite Martian Award. Houston has been an active member of RUSAâ€™s MARS Emerging Technologies in Reference section for many years. Her warmth and capacity for personal connection have positively impacted the sectionâ€™s recruitment and retention of members. Houston will be presented a citation. Yvonne Carignan, head of special collections and archives at George Mason University Libraries, has been selected as the winner of RUSAâ€™s History Sectionâ€™sÂ Gale Cengage Learning History Research and Innovation Award. Carignanâ€™s project, â€œHistory of Virginia Antebellum Social Libraries,â€ aims to document all social libraries that existed in the state of Virginia before the Civil War. This award is sponsored byÂ Gale Cengage LearningÂ and consists of a citation and $2,500 to help facilitate Carignanâ€™s historical library research. Ilana Barnes, business information specialist, and Tao Zhang, digital user experience specialist, of Purdue University Libraries are the project heads of â€œAssessment of Business Undergraduate Student Engagement and Behavior in a Crowd-Sourced Library Help System: Best Practices and Emerging Technology Opportunities.â€ They have been chosen as the winners of theÂ BRASS Emerald Research Grant. The grant, sponsored byÂ Emerald Group Publishing Limited, provides $2,500 to further research in business librarianship. Selected for the projectâ€™s potential to provide insights into user engagement opportunities, Barnes and Zhang aim to study a new type of reference model: crowd-sourcing. Business Librarian Desirae Zingarelli-Sweet, at the Carrier Library of James Madison University is this yearâ€™s winner of RUSAâ€™s BRASSÂ Business Expert Press Award for Academic Business Librarians. Zingarelli-Sweet was selected for her outstanding efforts in collaboration with business faculty, students and community partners; library instruction and business reference research at the university. The award, supported byÂ Business Expert Press, will provide $1,250 for funds to attend the ALA Annual Conference. Katharine Macy, MLIS candidate at the University of Washington, has been selected as the winner of the BRASSÂ Gale Cengage Learning Student Travel Award. Based on her extensive background and education in business, Macy shows great potential in becoming a successful business librarian. This award is sponsored byÂ Gale Cengage LearningÂ and will grant Macy $1,250 to attend the ALA Annual Conference. Jacob Kubrin, resource sharing and fulfillment specialist at Cushing Library at Holy Names University, has been chosen as this yearâ€™s winner of theÂ STARS Atlas Systems Mentoring Award. 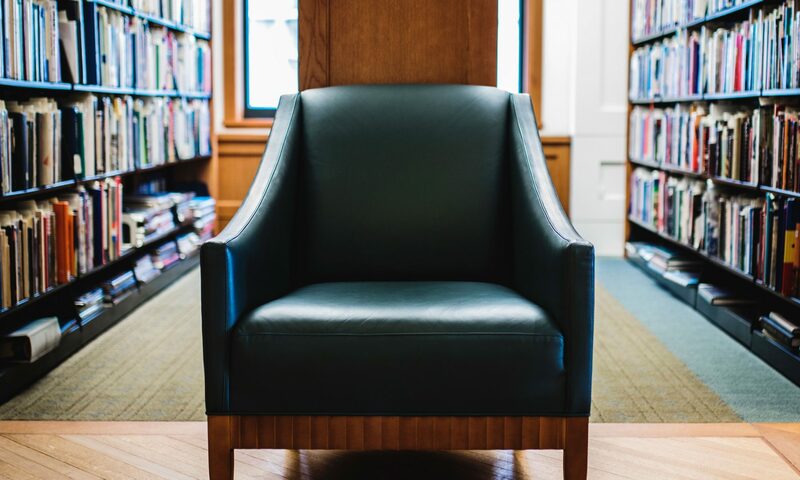 In a newly created position at the Cushing Library, Kubrin demonstrated a great need for professional development, networking and education to serve the ever increasing patron needs of the library. The award, sponsored byÂ Atlas Systems, Inc.Â recognizes an individual new to the field of interlibrary loan and contributes $1,250 to attend the ALA Annual Conference. The winners of many awards were announced as a part of the RUSA Book and Media Awards Ceremony at the 2014 Midwinter Meeting in Philadelphia. Dr. Grace Jackson-Brown from the Duane G. Meyer Library at Missouri State University is the 2014 winner of theÂ Zora Neale Hurston Award, which recognizes an individual that has demonstrated leadership in promoting African-American literature. Selected for her work with the Springfield African American Read-In and Dream Big programs, she has exposed diverse audiences to authors, workshops, live readings and celebrations that incorporate African-American authors. Sponsored byÂ Harper Perennial, the award consists of $1,250 to attend the ALA Annual Conference, tickets to the FOLUSA Author tea and a set of the Zora Neale Hurston books published by Harper Perennial. Francine Graf, former editorial director ofÂ Choice,Â has been named as the 2014 winner of theÂ Louis Shores Award, which honors an individual reviewer, group or editor for their book reviewing excellence for libraries. Graf, retired as of early 2014, was chosen for her outstanding contributions to reviewing for resources for academic audiences. Graf will receive a citation at the ALA Annual Conference. Mammals of AfricaÂ (Bloomsbury), edited by Jonathan Kingdon, David Happold, Mike Hoffmann, Tom Butynski, Meredith Happold and Jan Kalina, was selected as the winner of theÂ Dartmouth Medal, honoring a significant reference publication. This amazing source covers every recognized mammalian species in Africa. This resource will serve as a primary source of information and as a baseline for preserving the biodiversity of this great continent. A medal will be presented at the ALA Annual Conference. “Like Dreamers: The Story of the Israeli Paratroopers Who Reunited Jerusalem and Divided a Nation” (HarperCollins) by Yossi Klein Halevi was named the winner of the 2014Â Sophie Brody Award. The award encourages, recognizes and commends outstanding achievement in Jewish literature. A medal will be presented at the ALA Annual Conference. Previous PostPrevious Andrew Carnegie Medals for Excellence in Fiction & Nonfiction Longlist Announced! Next PostNext RUSA Preconferences at 2014 ALA Annual Conference!